CHICAGO, April 9, 2018 /PRNewswire/ -- Cision (NYSE: CISN) announced today it has been recognized as the gold winner in the 2018 Bulldog PR Awards in the category of PR measurement. The Bulldog Awards celebrate the best and brightest in corporate communications and public relations. "It is an honor to receive this prestigious accolade from a prominent industry leader such as the Bulldog Reporter," said Kevin Akeroyd, Cision CEO. "We are proud to be recognized in the category of excellence in PR measurement as Cision strives to provide our customers with the tools to quantify earned media's impact and ROI." The 2018 Bulldog PR Awards program recognizes outstanding PR and communications campaigns from 2017. Having received a record-breaking number of entries this year, it is the only PR awards program judged exclusively by journalists. The category of PR measurement recognizes innovation or brilliant problem solving in measurement methods to prove the impact and outcomes of a communications campaign. Cision Intelligence received product recognition for delivering superior PR measurement capabilities for the Stroke Association's New Era for Stroke campaign. Cision Intelligence allowed the charity organization to build its campaign based on tangible data and establish a measurement system ensuring effectiveness throughout the planning and execution stages. With rich monitoring and analytics, Cision Intelligence delivered the needed insights to tie the Stroke Association's campaign to strategic business objectives. The Bulldog Reporter has been providing news, best practices and insights to PR and communications professionals since 1980. Filled with insights on topics critical to PR pros and communicators, including media relations, crisis communications, influencer marketing and many other topics. The Bulldog PR Awards are a combination of Bulldog's Digital, Social Media and Media Relations awards programs, with a number of categories for those in the Non-profit and Social Responsibility arena. 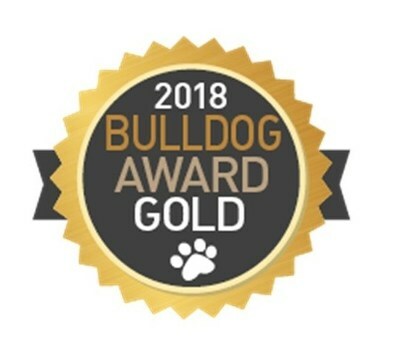 For a full list of gold, silver and bronze 2018 Bulldog award winners, click here.